WALTER SMITH OF RANGERS - A MAN OF FEW FUNNY WORDS. During the reign of Graeme Souness at Rangers they drew Red Star Belgrade in a European Cup tie in 1991, Red Star like most iron curtain teams then were still a bit mysterious and rather than rely on hearsay or videos Souness despatched his assistant manager Walter Smith to run the rule over these opponents. A couple of days later when Smith had returned to Ibrox he was summoned by Souness to his office to report, Smith sat down and Souness said "well what are they like" Smith replied with these two words "we're f****d"
Maybe I have a strange sense of humour but; I find that scene hilarious, absolutely brilliant. Small consolation but Smith was right, Rangers and all the others were "f****d" as Red Star went on to lift the trophy. A NEW POLITICAL RULE - A BOUGHT MP MUST COME WITH A RECEIPT. Was Michael (not Mick) Martin from Anderston Glasgow (not the Gorbals) the 1st. Scottish/Irish, Catholic, working class speaker of the Commons in 300 years the subject of an establishment plot to get rid of him? At the time of his appointment he was opposed by the Tory old boys and the suggestion is that they have got their revenge, I believe he was but; to understand whether they could do such a thing it is perhaps helpful to try to understand how these people think, consider the following. As long as I’ve taken an interest in politics; Bernard Weatherill Tory MP has been the best speaker of the house, he was from the Weatherill Tailoring family of Saville Row; male members of the Royal Family were customers. Here is his C.V. enlisted as a private in the Oxfordshire and Buckinghamshire Light Infantry Regiment of the British Army, a few days after the start of World War II, Weatherill was commissioned into the 4th/7th Dragoon Guards in May 1941 and reached the rank of Captain three years After attending Malvern College. On entering the commons a Tory MP was overheard saying to a colleague when he saw him in the corridor of the house “good God they are allowing my tailor in here now what next” This is how they treat one of their own, what might their attitude have been to Michael Martin? The Telegraph is outraged; the public are outraged; the Telegraph is vehemently anti Labour; should that matter? Well if you believe as I do that the Telegraph have ruthlessly exploited the issue to damage the Labour Govt. and assist the Tories; then yes it does. We are being exploited by the press; we are being used and I don’t like that; start with this question; if the expenses abuse is an all party issue i.e. no party is innocent then why was it not reported as such, why did we get 4 days of stories about the Govt. before the Tories were even mentioned, 4 days is a long time in this atmosphere to steal a march on your opponent which is what the Tories have done, a result for them and the right wing press, does no one else feel a bit used; a bit conned? Being used by the Telegraph does not of course excuse the abuses uncovered and people will rightly pay the price for that, MP’s sign a declaration stating that their expenses are necessary to allow them to do their job. That signature also agrees that the Inland Revenue make the rules and Freedom of Information applies to them; this begs the question, how does a duck island, horse manure or payment for a non existent mortgage assist in carrying out Parliamentary duties? We should remember that not all Mp’s are ‘at it’ and those who are clean must be furious at being tarred with the same brush. Changes need to be made and will be made, there is no excuse for what has happened but we must keep a sense of proportion; there are people in this country who make MP’s look like amateurs; those with billions who avoid tax for a start, why do they escape such opprobrium, the Labour Govt. were right to bring in F.O.I. I hope they can find a way to use it on the super rich tax dodgers. This must not happen again, is it too much to ask that MP’s consider whether the item they are claiming for is really needed for the job, perhaps on the declaration which they sign the references to INLAND REVENUE AND FREEDOM OF INFORMATION should be bold, in italics and in a different colour. I can’t see the point in making comparisons between sinners here there are too many and each party has them; except of course the SNP which I will come back to. Some are resigning because their health has suddenly deteriorated and some I suspect through sheer embarrassment and no doubt more will follow, claiming mortgage relief on a property with no mortgage is a crime and should be prosecuted along with any other law breaking. Those whom constituency parties feel badly let down by will be deselected but I predict that that will not be many, it’s been very damaging for each party and for the individual members who are not MP’s but life will go on. I think though that a Parliament populated by people like Esther Rantzen, Martin Bell and other 2 nd. rate entertainers would indeed be the last straw, would democracy survive that? My distaste for the SNP is no secret so t wasn’t all bad news for me, I’m not referring to the fact that Salmond (the spiv), Robertson and MacNeil all SNP were up to their necks in it as well but; could you believe the devious and brazen attempt by (the spiv) to slither away from the whole affair, Labour? admitted guilt, Tory? admitted guilt, Lib. Dem.? admitted guilt, SNP? not guilty M’lord it was the WESTMINSTER system not us in the SNP, the system made Salmond (the spiv) claim the food allowance at WESTMINSTER when the house wasn’t sitting; It wasn’t Angus Robertson SNP MP who claimed 2nd. home expenses of £80,000 it was WESTMINSTER that made him do it, it wasn’t Angus MacNeil SNP MP who claimed £61,000 n 2nd. home expenses + a bar of chocolate £2 + a couple overnight stays in the Union Jack Club despite having a flat nearby, it was WESTMINSTER made him claim. You read that correctly he stayed n the Union Jack Club, a real nationalist would have slept in the gutter rather than a place like that, he has form attached to hotel rooms though hasn’t he. So why the denial from the SNP? Is it stupidity, is it shame, is it fear or is it breathtaking arrogance? You decide, this will run and run. GLASWEGIAN NAZI GATHERING ? BRINGING SHAME ON THE CITY. "Mein Kampf is my bible" John Tyndal BNP founder and former leader. I urge everyone to read the comment and follow the links provided. B. N. P. ? CAN YOU VOTE FOR THEM AND STILL CALL BRITAIN DECENT ? Peoples attitudes to politics right now are rather jaundiced; egged on by those with a vested interest such as the Telegraph (Torygraph) we are encouraged to cry “a plague on all your houses” there are some low life deviants out there who are hoping for a low pole at the European Elections next month because of the expenses row. Disaffection with the mainstream parties and a low poll could open the door to people who are dangerous and downright evil, I choose my words carefully. Time for the brutal truth then; the British National Party are hoping to make a break through because of the bad publicity which is around at the moment, they are Nazis with all that implies, racist, fascist thugs who idolise Hitler and the Nazi philosophy which almost destroyed civilisation with the second world war. These people are waiting like parasites to move in where people are disillusioned, they are confident of gaining enough support to access £2 million in European funding for their future evil plans. I understand people’s anger and their frustration but I am completely convinced that this expenses mess will be sorted out and the guilty will be punished, you will have your chance to have your voice heard at the next election. If you were to vote for these extremists or stay away from the polls you will be acting on information from a Govt. hating right wing rag (The Telegraph) which has not been tested. Do you want to look back and consider that you allowed a bunch of Nazis to gain a foothold in this country, the expenses issue looks bad I’m not denying that but is it bad enough to allow the BNP to succeed. Consider what is gong on; what is the correct information and from where is it coming, there has been no proper investigation yet. I believe that some people will be guilty; I’m prepared to wait and see. I urge that anyone who is contemplating a “Boycott" or considering voting for these BNP monsters should take the trouble to find them on the internet and look properly at the kind of people they are. Do not be side tracked by ongoing events do not let these thugs in by the side door, they are vermin, go out to vote and destroy them, then we can concentrate on getting politics back on track. CHEAT - CHEAT - CHEAT - CHEAT - CHEAT. At approx. 12.45 pm today the greatest sport in the world; “the beautiful game” football, suffered a sad embarrassment witnessed by millions. The SPL gallops to a close in one of the closest races ever and it makes for exciting games and incredible tension, exactly what the purists want. One of the things which can and often does spoil things is also one of the things it can’t do without; players. In this regard consider the behaviour of one Kyle Lafferty of Glasgow Rangers. About 15 mns into the game at Ibrox between Rangers & Aberdeen the Aberdeen player Mulgrew made a “bread & butter” clearance along the touchline only to be clattered by a late tackle by the aforementioned Lafferty, not much to comment on really a simple foul? well; not quite actually. What followed was a car crash of an incident which will haunt Mr. Lafferty for a long time, Mulgrew rose angry and remonstrated with Lafferty who stepped up to him; foreheads slightly touched and Lafferty clutched his face and fell pole axed to the ground, apparently unconscious, Mulgrew stood horrified wearing the expression of the first guy in the film to see the monster as the referee; to the amazement of everyone in the stadium and the millions watching at home sent him on the “walk of shame” with a wave of the red card. Make no mistake Kyle Lafferty brought shame on himself and his club with this outrageous display of cheating; everyone agreed about that except presumably the perpetrator Lafferty; Rangers boss Walter Smith took the very unusual step of referring to the incident in the post match interview where; to his credit he condemned his players actions. He should be heavily punished for this ugly mess, this was IMO worse than the mess made by the hapless Barry Ferguson; this was more shameful to Rangers and the game itself. He compounded the felony by recovering his health quickly and offering a “wink” to one of his team mates, clearly pleased at getting his opponent wrongly set off. Perhaps the SFA will look at this and deal with him; I think they should; so should Rangers, so should any team who has a player guilty of such conduct, which brings me to a similar incident. For the sake of balance, Davy Provan was a talented player for Celtic some years back; he now writes a football column for the “News of the World” quite apt really. You see some years ago he played at Parkhead against Hearts who had on the left wing one of Scotland’s best known characters the ageing and almost retired wee Willie Johnston ex rangers star. As Johnston tried to take a throw in Provan stood on the touch line to prevent him getting any purchase as he tried to make it a long throw, he threw the ball and as he did so their foreheads brushed, down went Provan; was there a sniper in the crowd we wondered; no; it was a dive by Provan who shamed himself and Celtic with his underhand behaviour wee Willie Johnston did the “walk of shame” and retired that night from football, he had a chequered career and was no stranger to trouble. Provan’s despicable behaviour was the last straw for wee Willie, it did not end there however, perhaps a year or so ago Willie Johnston published a book in which he recalled the incident in a way which did not flatter Provan. Provan; as unprincipled as ever decided to use his privileged position as a newspaper columnist to retaliate, his reaction was the act of a complete charlatan, displaying the counterfeit nature which his employers are known for; he invited readers to compare Johnston’s record which included many red and yellow cards as well as his sending home from the world cup for failing a drugs test with his own which was spotless, implying that his version of events where he claimed that Johnston head butted him was the right one, he talked down to Johnston in a most patronising way, a real nasty piece of work. I discussed this at the time with my brother who was with me at the game and he said a very true thing, “”Davy Provan had a good disciplinary record because his number one priority on the pitch was not to gain victory, it was to avoid getting hurt” is what he said, and he was right. This cheating coward now grinds out pious articles about what is wrong with football from a sleazy tabloid paper. I was there and I was not supporting Willie Johnston but I can say this; Johnston’s version of events was the correct one; Johnston for all his faults and disciplinary problems was twice the player that Provan was and judging by Provan’s behaviour all these years later he was twice the man as well. These people should be kicked out of the game. AMERICA AND BRITAIN CAN MAKE PEOPLE DISAPPEAR, CHECK THE CHAGOS ISLANDS. My recent post on the Ghurkhas solicited a furious comment from someone which was in fact about the Shameful treatment of the Chagos Islanders; who? I hear you say well; I had almost forgotten them as well they were somewhere in the back of my mind. The writer's anger and indignation were palpable as he damned the Americans, the British, the Labour Govt, me and everyone else within damning range and he was right, he was spot on. The Govt. have; as far as most people are concerned made the Chagos Islanders disappear, yes Govts. Can and do; do that. This comment reminded me of the old imperalist British mendacity and our obsequious relationship with the USA. Quite simply the USA as part of the cold war wanted a place to put a large military base in the Indian Ocean without the nuisance of people being there, to achieve this they ‘removed the people’ they ‘made them disappear’ chilling phrases I know but true. With terrifying callousness the Americans arrived and the Islanders were shipped out, the British Labour Govt. led by Harold Wilson which had jurisdiction over the Chagos Islands secretly took a bribe from the Americans in the shape of nuclear weapons at knock down prices to allow this. The Americans preferred another island called Aldabra but; the problem there was not people but rare tortoises. They didn’t want the bad publicity from David Attenborough (bless him) & co. so it was that cut priced nuclear weapons and tortoises officially became more important than people, no this is not the script from a black comedy this happened, it happened in our name. In November 1965 using an immoral political stunt; an “Order in Council” was used which allowed Britain to rename the islands “the British Indian Ocean Territory” thus rendering the Chagos Islanders stateless, if they didn’t exist they didn’t have rights, and could be treated as ther masters saw fit get it? British fair play aided by the home of the free and land of the brave, pass the sick bag. This crime took place approx. at the time of and ran alongside the Palestinian crime committed by Israel and once again by Britain some 10 years or so earlier and; like the Chagos Islanders still festers away today. The American Indian, The New Zealand Maori and the Australian Aborigine know this pain; we think of them in historical terms but they are still suffering. Alcoholism, drugs, crime and suicide are rife among them still. History teaches us that these are the results of imperialist crimes over the years. There are approx. 1,000 of the Chagos Islanders who still yearn to go home, they live miserable lives in exile. Does anyone believe that these people can’t be accommodated and resettled in their own land as has been suggested, it could be done with ease by Britain and America, it is a risible suggestion to say that they can’t be returned, so what is going on? Is it possible that the Americans and by association the British don’t want people to see what their operation entails on the islands, this is extremely worrying. Make no mistake about it we; the British Labour Government are responsible for this cruelty, I will be writing to my MP to urge the Govt. to clean up this stain on our country. I urge everyone to do the same, believe me I have been in politics long enough to know that MP’s do not like such letters being sent by constituents, it makes them wonder how many friends the writer has and is talking to, who and what else does the writer have access to etc. it is definitely worth doing, it’s the right and decent thing to do, these people demand and deserve justice, nothing less will do. RENFREWSHIRE COUNCIL'S SNP/LIB. DEM. ADMINISTRATION HIT ANOTHER 'BUM' NOTE. The cultural vandals A.K.A. the SNP/Lib.Dem Cllrs. who run Renfrewshire Council have been forced in to a partial climb down over cuts to music tuition in our schools, tuition will continue as before but only in primary school, in S1 S2 the tuition will still be cut in half, congratulations are due to the parents and pupils who took up the fight but, it has to go on until the cuts are completely reversed. Whenever I address this issue I can’t avoid letting people know what some of the SNP led administration Councillors have said. Here are some facts to consider; a pupil taking music in S1 & S2 will get one lesson a fortnight; pupils taking music in S1 & S2 prior to these cuts received one lesson a week; by my reckoning this means that today’s children taking music will; after two years in S1 & S2 have missed out on a whole years tuition. I invite any SNP/Lib.Dem. Cllrs. to explain to me if and where I am getting this wrong. Now consider this. Cllr. Cameron SNP Education Convener. Email to concerned parent from Scottish Government, on behalf of First Minister Alex Salmond urging them to lobby the SNP led Renfrewshire Coucil. *** “Renfrewshire Council have advised that they currently provide weekly half hour lessons for pupils as an enhancement to the core music in all schools” from same email above from Alex Salmond. The parents; pupils etc. who opposed these cuts were misled by the SNP/Lib. Dem. Cllrs. who told them that the decision to cut music tuition could not be reversed and it now has been. Are they ignorant of the rules or are they dishonest? People will make up their own minds. They misled people further by saying that Labour did not oppose the music cuts in the SNP/Lib.Dem.budget when the facts which can be checked are that Labour’s alternative budget did not propose any education cuts; not one penny ! This proves that the SNP/Lib.Dem. Administration are unable to defend their own policies, that’s why they caused the special meeting on this matter to be abandoned, a cowardly underhand act. The fight goes on to fully restore music tuition in Renfrewshire Schools our children deserve nothing less. MEIN KAMPF IS MY BIBLE" JOHN TYNDALL. 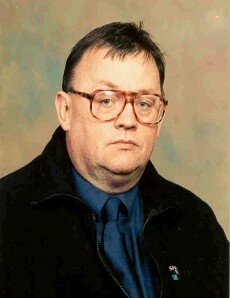 BNP FOUNDER AND FORMER LEADER. Brecht could have been talking about Britain 2009. As we head for the European elections in June the Nazi British Nationalist Party are hoping to do well enough in these elections to release funding from Europe of £2million which will be used by them to spread fascism, hatred and racism, do you want this to happen? If your answer is no then you must do whatever you can to stop these evil people; even if it’s only to make sure that you make a point of voting then you must do so, for the sake of your conscience. How about Tony Lecomber, until 2008 one of BNP leader Nick Griffin’s right-hand men. Lecomber proposed a racist eugenics programme, echoing that of the Nazi murderer Dr Josef Mengele, which advocated a “racially purer” Britain through the sterilisation of the poor, the sick and the disabled. Lecomber believed, and presumably still does, that the rich are “genetically superior” to ordinary people and that poor people should not be allowed to have their own children. Take a look at some of the blogs frequented by the BNP and their followers, here you will see them without the suits and platitudes but; be warned It is very disturbing stuff-remember It is written by fellow members of the human race. They are a political mob who attract the worst elements of society, racists, thugs and haters of all things decent. I consider myself to be an Internationalist as well as a Socialist and have never been bothered about whether I am proud to be British, just being a citizen of the planet earth does me fine, being ashamed of being British however is different it’s not a nice feeling but these people make me feel just that. Defeat, crushing; heavy and humiliating defeat for these wannabee Nazis will make me feel less ashamed, let’s do the decent British thing and wipe them out come June. NOW GENTLEMEN, NO STAMPING, NO BITING, NO GOUGING, THE QUEENSBERRY RULES IF YOU PLEASE. The poorest of starts for Ricky Hatton’s attempt to climb the mountain occupied by Manny Pacquiao took place before the first bell, his team were at loggerheads with each other (Mayweather Snr. Was a howler) and he was greeted by the sight and awful sound of a moth eaten Tom Jones looking and sounding like the guy who came in last at the karaoke night in the ‘Dog & ferret’ a very bad start. Anyone in world boxing who fancies their chances against Pacquiao quite simply has to be mentally and physically in the very best condition possible, Hatton was neither, coming out from an unhappy dressing room to be met by Tom Jones howling the national anthem like a bear with it’s paw caught in a trap would not have set him up very well, they should scrap that garbage once and for all. The only thing about the fight itself which was not entirely predictable was the time it lasted, although those with the right antenna; like me; who hung on every word spoken by Manny’s fascinating trainer Freddy Roach would not have missed him say that it would not go past three rounds, nor like me would they have missed the point that he was serious; this was not big talk, this was not bombast Manny doesn’t need that, this was Roach telling it straight, he was downbeat and calm when he said this, if you are Hatton or from the Hatton camp and you hear this most undemonstrative little guy make a statement like that you know you are in trouble. Fish n Chips, Fry up breakfasts and pints of the “Liffey Water” (Guinness) are not the way to get ready for a guy like Pacquao even if you spend the last 3 months before the fight living a monastic existence and punishing your body, not when you are thirty, not when it’s Pacquiao, definitely not him. The fight was short; fast and brutal; with the Filipino showing why he is the best pound for pound fighter in the business he averaged an astonishing more than 2 to 1 punch ratio over Hatton and some of them were tasty, he moves like a “mongoose on speed” and like the welsh legend Jimmy Wilde carries a “hammer in each hand” It was really over in one round as reality cruelly set in but; Hatton as usual would rather go out feet first like a true champion which he duly did but the end was spectacular and scary; even by the standards of the hardest game in the world. With people’s pulses slowing slightly as seconds ticked down to the end of round 2 we thought; “well done Ricky” we all thought he would do very well to last round 2 after taking a ferocious beating in round 1, trainers were ready to enter the ring at the bell, the bell which never came. Hatton; again showing a dangerous disregard for his own safety; instead of seeing out the round and taking a breather went forward swinging and walked in to a punch which rendered him unconscious before he hit the canvas, a perfect punch, a perfect K.O. so good in fact that it scared everyone, the referee was beside him instantly signalling with his raised arm that it was serious. 5 minutes later he was still down and the all seeing merciless cameras were on him like hungry wolves ; they zoomed in on his eyes which stared back completely empty, a pitiful scene. Something then happened which created a picture which I will never forget, they had a camera above the ring and when they went to that camera; there was Hatton flat out on his back positioned exactly n the middle of the advertising logo for I think it was Budweiser Beer, an incredible shot which captured the brutality of the knock down and the power of the money which drives the game, very poignant. The future ? Ricky will take a break and he should then retire but he wont, why ? because he knows the days of trading with Mayweather and Pacquiao are over but he is still only 30 years old and another big, big pay night looms, an all British battle between a great prospect on the way up Amir Khan; and a great champion on the way down Ricky Hatton, this might take a year or so with Khan fighting before he meets Ricky, Hatton will lose and then retire and Khan will; if he has any sense stay well clear of Pacquiao until he is a bit older maybe 40 or so. Pacquiao V Mayweather! maybe I’ll wait until after that one and think about it again. Back in the sixties the SNP and their followers (knuckle draggers all) put the above piece of embarrassing doggerel to a traditional old folk tune known and sung by many as“the Sash My Father Wore”oh yes! the SNP have always been sensitive, a great many members of course did not even have to break stride as they seamlessly marched from one parade to another. Perversely back then their vision of a kind of superior Scottish race did not include the Queen; she was out because of her“Engurlishness”her majesty is I believe greatly relieved that King Alex (the spiv) has smoothed the way for her rehabilitation among the nationalists, such is his autocratic power, a Scottish “Sun King”if you will. Winnie Ewing; trusted friend of Italian Fascists, creator of a right wing group and well in with other right wing goons in Europe who started out as what we now call a “fundamentalist”is to have her portrait presented to Holyrood in a ceremony to mark 10 years of the parliament’Who sad the following? “The enemies of Scotland are the traitors within the gate, the unionist parties who, whilst claiming to be Scottish, don't wish for their country the normal freedom that every world citizen expects for their country." Yup it was Winnie; all Scots who did not vote SNP are traitors; nice woman eh? Who told the Queen to change her name to Elizabeth the 1st. because Scotland never had an Elizabeth the 1st. This is the same Winnie Ewing and indeed Elizabeth Windsor who are about to gush all over each other, pass the sick bag please. Independence for the SNP and their mob back then meant getting rid of the Queen; that was a non negotiable part of their infantile creed; the Salmond (the spiv) led party now embraces the monarchy; the same monarchy led by Her Majesty Queen Elizabeth of Great Britain and Northern Ireland without demur, remember that other great freedom fighter Sean Connery grovelling at the feet of the Queen dressed like Harry Lauder to receive his Knighthood? a shameful incident Connery proved to be a man of straw. Other straw people are all the ex supporters of independence who used to sing the song above, now they hum it to themselves; very quietly. This SNP mob give other hypocrites a bad name. I agree with the decision to treat the Ghurkhas properly; we have been exploiting them for approx. 200 years, for that length of time it has been a master servant relationship which has been a blot on the honour of Britain as well as being a stain on the British Army and its history. I don’t however buy in to the sanctimonious crap which papers and celebrities have been churning out, to put the record straight we should admit that all the glory; the bravery and all the heroics shown by the Ghurkhas all the VC’s etc. won on behalf of Britain could and would have been shown to any other country which offered them more money than us all those years ago, that s the somewhat inglorious truth of the first Ghurkhas to fight for the British Empire. When I asked my old man what he did in the war he used to say he played football for the regiment which he indeed did; some pictures survive; he also boxed for the regiment as well, he used to say “they wee Gurkeys cannae play fitba but by Christ they can fight” he bowed to no man in his admiration for them which was not only based on their fighting qualities but also on the knowledge that when he and his comrades got in to a tight spot they (the wee Gurkeys) were on our side, borrowing from Wellington he used to say “they scare the s**t out of us so what do they do to the Germans” When the British employed the German ‘Hessians’ to fight the American revolutionaries and an the beast Franco employed the Moors to fight the Spanish Republicans they were called by their right name which is of course ‘Mercenaries’ Britain as usual goes in to denial at such a suggestion, it’s gross hypocrisy as usual. This is how the Ghurkhas started their relationship with Britain. This term of course no longer applies to them but it doesn’t help in the long term to whitewash it over. Britain employed them and exploited them, their soldiers were not paid the same as British Soldiers for instance the Ghurkhas by contrast always fulfilled their part of the bargain and after all this time they are at last to be treated fairly. The British military has a brutal and terrible history, as well as the glory of the Second World War and the defeat of Nazism there are many shameful episodes, in that sense we are no better than most countries and it’s taken a long time to do the right thing but it’s a start, now what about all those Indians.